A few months back, I collaborated with @jcarillo_designs and @willow408 on a video montage project where each of us illustrated a member of the legendary Run TMC (thanks again for the fun, fellas!). 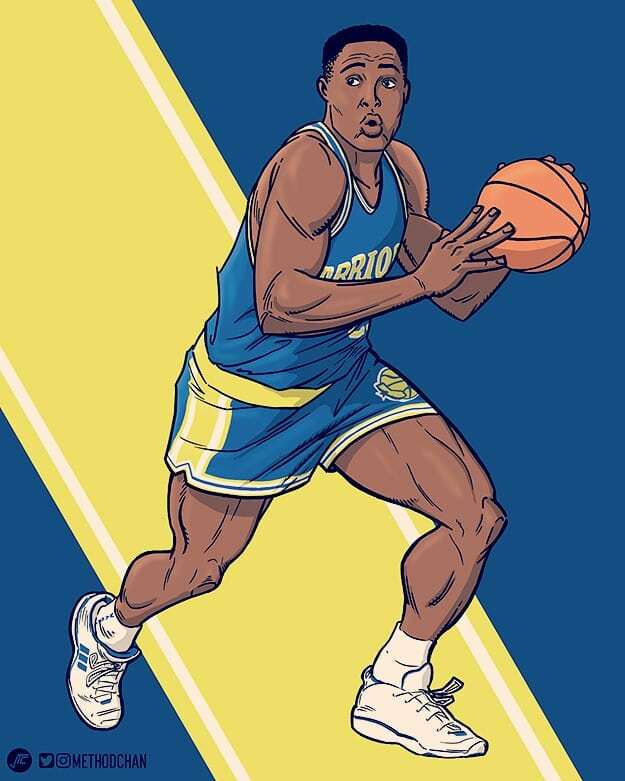 So today’s #WarriorsWednesday post is a closer look at the illustration of Mitch Richmond I did for that project. Drafted 5th overall by the Dubs in the 1988 draft, Mitch went on to win Rookie of the Year honors after averaging 22 pts, 6 rebs, 4 asts, and 1 stl per game. During his all-too-short three seasons in Golden State, he was a prolific scorer averaging over 22 pts every season. Just as he, Chris Mullin, and Tim Hardaway were hitting their stride as Run TMC, Mitch was traded away to Sacramento in a move that the Warriors would come to regret. Mitch would go on to thrive as a member of the Sacramento Kings, where he earned All-Star status six times, All-NBA Second Team three times, All-NBA Third Team twice, and All-Star Game MVP of the 1995 game. He would also go on to be a member of the 1996 Olympic team (Dream Team III) that took Gold in Atlanta. Mitch was inducted into the Hall of Fame in 2014 and had his jersey number retired by the Kings. Wish we could go back in time and undo that trade to see what could have been!